So everyone's been talking about a new ramen place in town and it's called Ramen Danbo which is situated in the heart of Kitsilano. 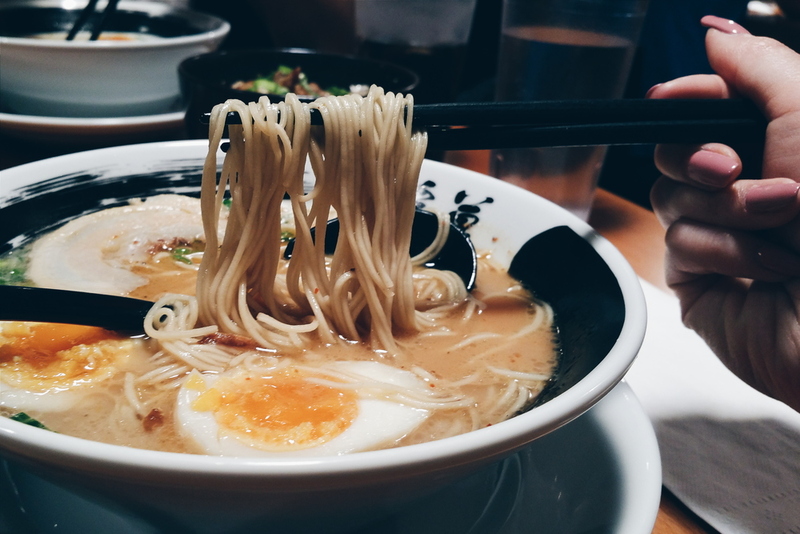 They boast of their authentic Fukouoka Hakata style Tonkotsu (pork based) ramen which has supposedly extremely rich broth and firm, thin noodles. I was in the area last week and decided that my ramen addiction needed attending to. Here I am to share with you my thoughts from this visit. 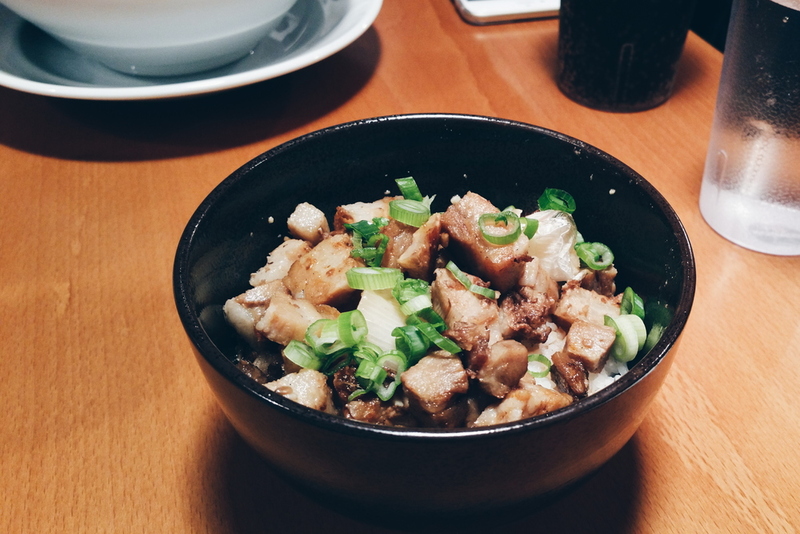 So how true does Ramen Danbo stay to ramen from Fukuoka? On paper it's obvious that there is a great deal of influence from the prefecture but I'm not exactly sure that I'm tasting the right flavours. Fukuoka Tonkotsu is heavy stuff. 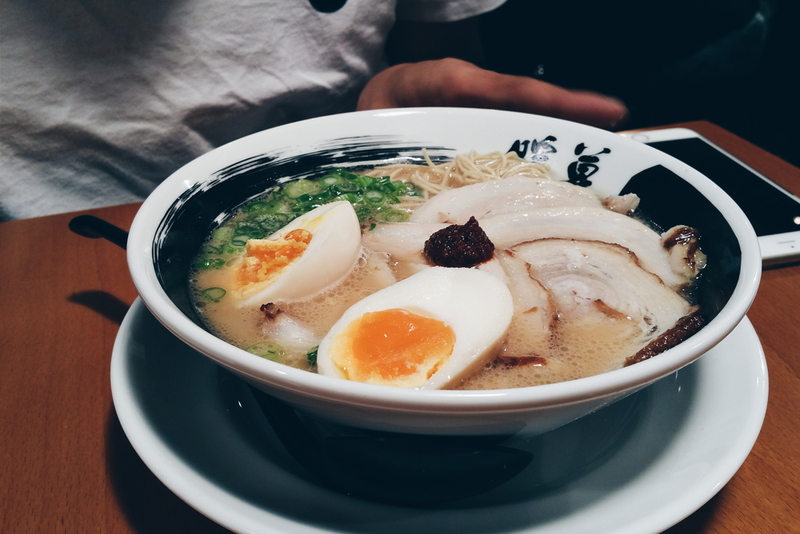 The broth is almost milky and packed with intense flavour from the meat bone fat. For me, Ramen Danbo's broth falls short in flavour as I find it to be less "full-bodied" than they advertise it to be. The noodles here are unlike most noodles served by ramen shops in the area as they are thin and less chewy. I can't vouch for the authenticity of these noodles but I can say that I'm not sure I really like them as I prefer ramen noodles to be thicker and chewier. The soft boiled egg is not exactly to the consistency that I like; half of the yolk is fully cooked while the other half is nice and soft. My vote for best ramen egg still goes to Marutama. The Yakibuta chasu is served in large thin slices, half fatty half lean which is nice. I'm also a fan of the meat being locally sourced but the lean parts were a bit too rough for me to fully enjoy them. TLDR: I like my ramen broth heavy and my noodles chewy which aint what Ramen Danbo serves. It's a nice bowl of ramen but it's not my bowl of ramen. 3.5/5 - Same stuff as above but with more chasu in this one. Sadly more chasu doesn't make me like it more. Continuing with the trend - this isn't my bowl of... rice. I had high expectations for this place which weren't exactly met. Maybe I'm just clouded by my noodle and broth preferences but I'm not exactly a fan of this place. The food is just okay which isn't very forgiving in a city that has plenty of other ramen shops. The service isn't exactly what I would call attentive or at the level of what I would usually expect. The prices here are a bit steep but I'm guessing it's due to how complex the broth is. I just don't find the dollar figure to be justifiable. However, I do like the customization Ramen Danbo offers (eg: firmness of noodles, thickness of broth, amount of lard..). In conclusion, Ramen Danbo is a place to visit once for the "authentic Fukuoka style noodles" but it's not a place I would choose to return to.